Mix a little sock monkey fun with a birthday and you've got the perfect mix for a super-duper celebration! 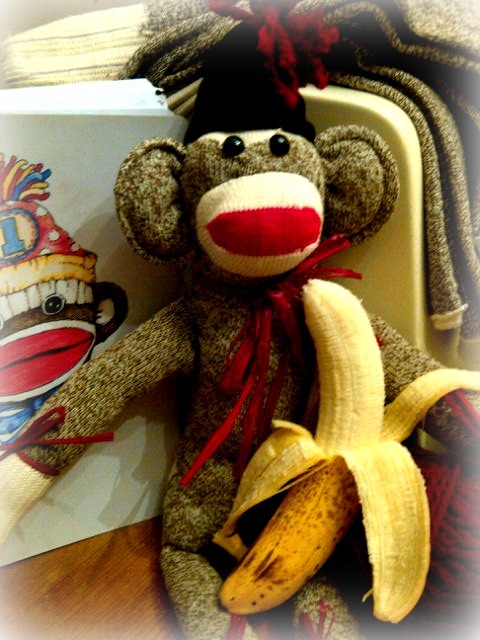 Make a "REAL" Sock Monkey...the perfect guest for the party! 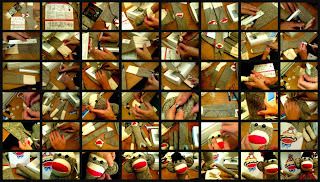 From start to finish here's the down low...do-it-yourself...self-taught (using instructions of course, haha!) 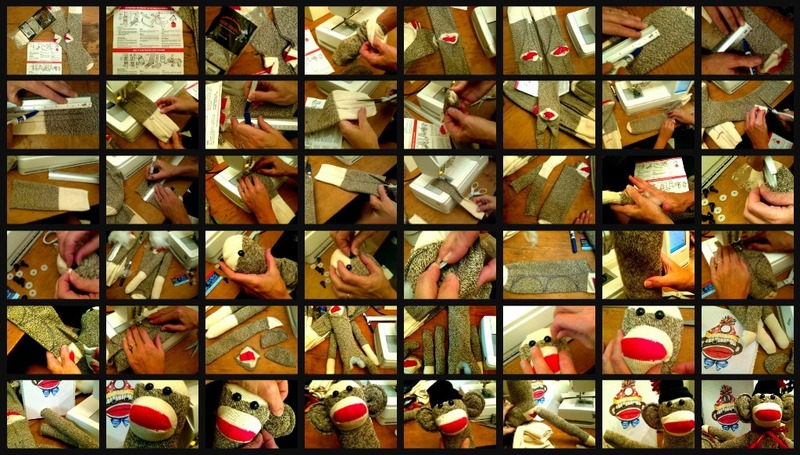 how to make a sock monkey video tute! 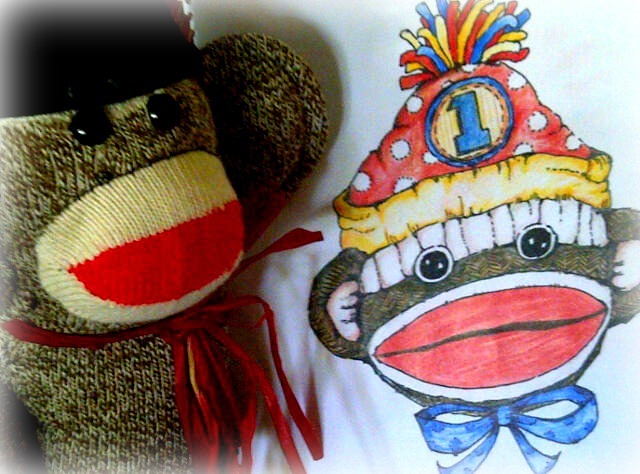 Hey, we think the first one turned out pretty cute! 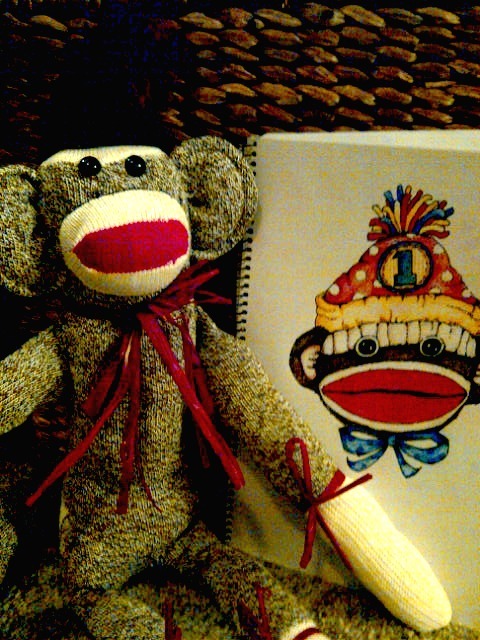 Only 5 more to go! 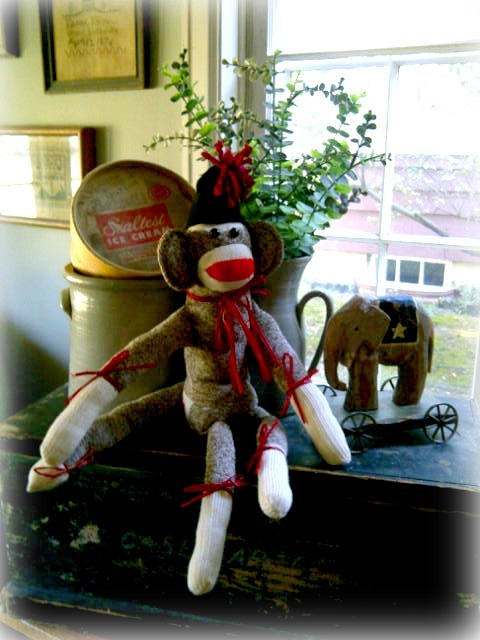 And how about a finale' photo shoot with Sam the Sock Monkey "glamming" it up for the camera! 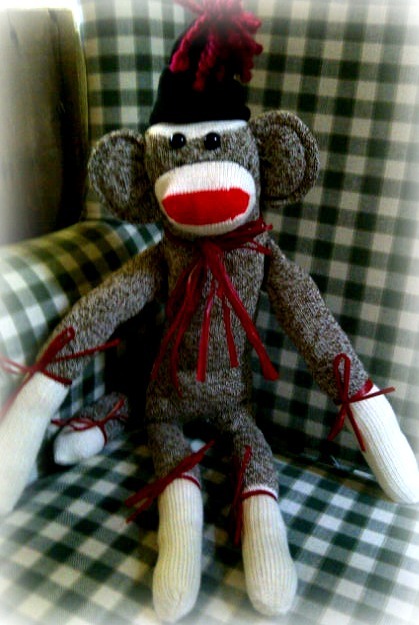 Now on to Project #2...decorations...whew, we've still got ALOT to do! 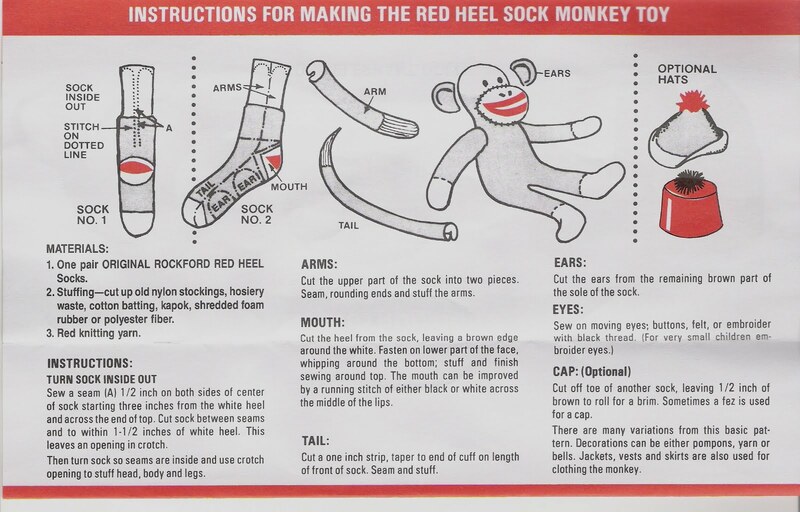 Sock Monkey Instructions as found inside the original Rockford Red Heel Socks. 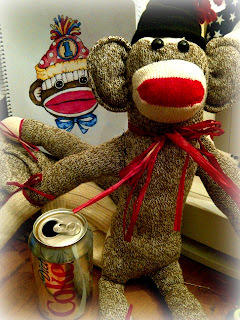 I don't know how you do it Joni, you are so clever, and bundles of energy. I want some of what you have!!! 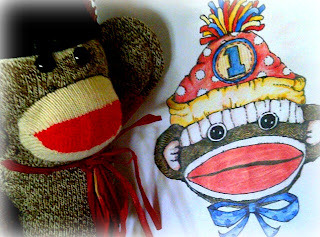 Love the sock monkeys hope the party is super duper loads of fun. 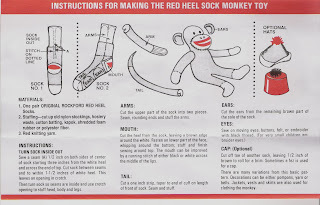 Keep the monkeys in check.